Our Troop is very much a Scout led troop. 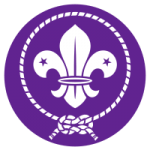 The scouts choose their own leaders, who plan the camping trips, activities and meetings. The role of the adults is to provide advice and guidance, and of course keep the scouts safe. 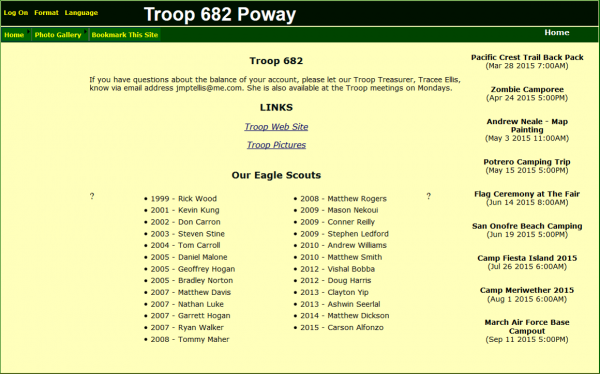 One result of being Scout led is that Troop 682 does a wide variety of different trips. If you haven’t already, look at the pictures on our Flickr site. 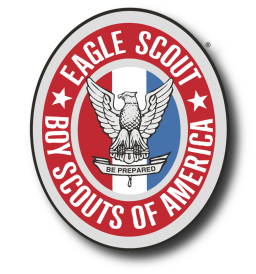 When a boy joins the Troop during the spring, he is initially assigned to a “New Scout” Patrol. 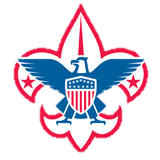 Each New Scout Patrol consists of 8-10 new Scouts and is led by a Troop Guide, an older Scout who is responsible for teaching the boys how the Troop works, how to camp with the Troop, and the skills needed to earn (at a minimum) the Tenderfoot rank. After approximately six months (normally when school resumes), the boys become part of a regular Patrol. 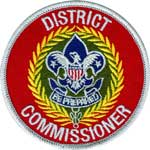 For Scouts joining outside the spring ‘Webelos to Boy Scout’ transition period, they are incorporated into the existing Patrol structure and led by a Patrol Leader (1st Class Scout or above). We meet on most Mondays at 7pm at St Bartholomew’s on Pomerado Road. Check the troop calendar for details.